As you both also reported, the UMWA opted not to be a party to the petition seeking to designate Blair Mountain as “unsuitable” for mining. This despite the fact that he said that you can’t remember Blair Mountain so well if it’s not there. The problem I had with what he said was “I’ve been to West Virginia, and that’s about all they’ve got there.” That is true of much of the southern coal fields, but that’s not all of the state, and coal has declined to less than 10% of the states economy now. There’s a lot more here than coal. Sounds like a good idea. Since Congressman Conyers is from Michigan, we should shut down all the mines, and move all the Auto Factory Jobs to West Virginia. Sounds like a good trade, Michigan is a dying state anyway. We shouldn’t be critisizing Conyers; we should be asking ourselves why is it that Manchin, Rockefeller, Capito, McKinley and Rahall are willing to compromise the health of our citizens for short term jobs to a few mountaintop removal workers? Are they so addicited to coal ($$) that they are deaf and blind to the growing scientific evidense that mtr just may be killing people? Can’t they at least acknowledge that we have a huge problem, not just with the health effects mtr places on our citizens but the fact that West Virginia’s coal mining days are dwindling. I can understand why a coal exec wants to keep the gig going, his payday depends on it. It is time for the Fed five and our Governor to declare who they work for, coal barons, or The People. Finally. Someone on a national stage recognizes something is going to have to be done to transition away from a coal economy. I’ll say this again: King Coal has one foot in the grave and the other on a banana peel. It doesn’t matter what the EPA does or doesn’t do, the demand for Central Appalachian coal (with the possible exception of met grade coal) will continue to decline as western coal gets more price competitive. We need to be doing something for the future and planning that the future has an economy not dependent on coal. We’ve had this discussion in another blog and Bo Webb had some interesting ideas. I think it speaks volumes that a WV politician didn’t stand up and make the point that Rep. Conyers did (I don’t know what district in Michigan he represents, but I’d say he’s had some experience watching an industry implode). Instead our politicians would d prefer to ride the HMS Coal all the way to the bottom. Today, Congresswoman Shelley Moore Capito, R-W.Va., responded to statements made by Congressman John Conyers, D-Mich, today at the U.S. EPA’s 2011 Environmental Justice Conference. Conyers stated that “…there is no such thing as clean coal,” and went as far as to say that the coal industry should be shut down entirely. Despite its rich potential for expansion and job creation, this Administration has made every effort to dismantle the fossil fuel industry through burdensome and job-crushing regulations while failing to offer a viable alternative to meet our nation’s energy needs. This summer, Capito’s amendment to require the Environmental Protection Agency to take into account jobs and economic activity when making decisions passed the House of Representatives with bipartisan support. Even from the likes of Joe “Kill the Bill With a Rifle” Manchin, the response seems rather extreme. As a longtime reader of words, I don’t see in Rep. Conyers’ remarks what Sen. Manchin sees. What Manchin’s, Roberts’, Tomblin’s, et al. responses actually say to me is that for them, at least, the coal industry has gone past commerce, gone past politics and has entered the realm of something approaching a religious orthodoxy in which no one may criticize the sacred cow munching its cud in the middle of our living room. 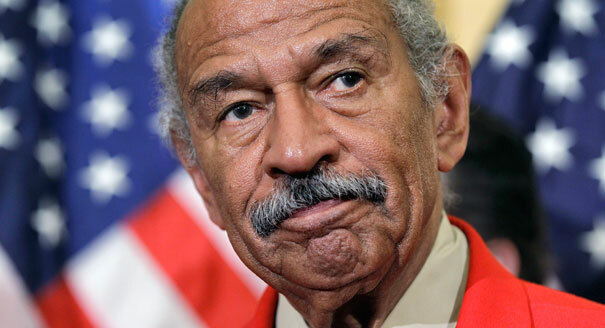 Being an inbred hillibilly (according to the National Mine Association attorneys) must explain why I cannot understand what was so degrading about what Rep Conyers said in his statement. I would really be interested in hearing from people who found Rep Conyers’ remarks offensive, more offensive than being called an inbred hillbilly by the NMA folks. These politicians are offended by Rep Conyers statement but not the NMA calling us inbred hillbillies? His statement offends them, but they won’t even comment on WVU Health Studies documenting concerns about MTR on public health and safety? Well, I am offended by them not Rep Conyers. From a previous press release, Sen Manchin was clearly confused about the difference between investment and divestment. Is he as confused as to whether he is a US Senator from this great state or a coal industry spokesperson? Unless Mr. Roberts, in claiming that coal is getting cleaner, is referring to the potential environmental benefits of EPA’s pending regulations strengthening restrictions on emissions from coal-fired power plants, or on the potential designation of coal ash as a hazardous waste, or on tighter regulation of the water quality impacts from valley fills, then his statement is incorrect. First, as even coal-fired power plant operators admit, two-thirds of the embodied energy in a ton of coal is lost as waste heat, and 5-10% of the remaining useful energy is then lost through the transmission of electrons from plant to consumer. So overall approximately 70% of the potential energy is wasted. This means that 70% of the impacts to forests and streams from mining operations, of the coal ash generated and disposed in unlined landfills, of the drinking water contaminated from mining and coal waste disposal, of the degradation of public health, and of the impact to the global climate from carbon emissions, is for wasted energy. Conversely, only 30% of all of those impacts are actually associated with some benefit to society, in the form of electricity. To further argue against the claim that coal is getting cleaner, it is also a fact that the average heat content/quality of the coal we burn is declining each year (peak energy content of coal consumed in the US occurred in 1990). This means that each year we have to mine, process, transport, and burn more coal each year just to generate an equal amount of electricity as the previous year, and this trend will continue. This means that the per-kilowatt-hour impacts of coal on the environment and public health are increasing. So unless Cecil Roberts is aware of a vast and voluntary movement by utility companies that operate coal-fired power plants to install scrubbers, invest in Carbon Capture and Sequestration technologies, safely dispose of their coal ash, and eliminate the use of valley fills, then his statement is grossly incorrect. Among all of the hysterical responses to Rep. Conyers, what I find most frustrating is the continued over-statements and torturing of numbers about the impact of coal on employment and energy generation. Cecil Roberts appears to just be making numbers up. According to EIA, coal mining employment was 87,855 in 2009, including, “all employees engaged in production, preparation, processing, development, maintenance, repair shop, or yard work at mining operations, including office workers.” There are of course other jobs that support the coal industry to a greater or lesser degree, bu the fact that he can torture the numbers to go from there to “millions of workers” is just silly. Worse, though, is the underlying assumption that Roberts, Manchin, Capito and others always seem to make: that if coal use declines then that portion of the 44% of electricity generation market share coal now has – not to mention the billions of dollars it represents — would be left on the table. Would those Btus and jobs really just disappear without being replaced? Would Americans be content to freeze in the dark rather than use our ingenuity and financial resources to produce that electricity in other ways? We can all agree with Mr. Roberts that if coal use ended overnight, we do not currently have enough capacity to replace the 44% or so of US electricity that is produced from coal. But nobody is saying coal use should end overnight. And suggesting we’d just roll over and die is a deeply pessimistic view of America and the capacity of our people. The bottom line is that American ingenuity keeps the lights on, not any single source of energy. In the same vein, West Virginia’s economy will rebound because of the ingenuity and work ethic of the West Virginian people, not because America’s diminishing demand for coal, or the proportion that is met from West Virginia mines, will miraculously return. That said, I hope, along with Rep. Conyers, that the transition away from coal can proceed in an orderly way that creates jobs and strengthens West Virginia’s economy. Sen Manchin, Gov Tomblin and Rep. Capito should be working to ensure that happens through proactive planning and job diversification programs, not by issuing hyperbolic and vitriolic statements every time someone dares to suggest we move to cleaner sources of energy. We all know that coal is a very important component of affordable baseload generation in the USA. I think jobs tied to affordable, reliable power were implicitly included in the quotes about millions of jobs. Many industries are quite sensitive to the costs of electricity (and other inputs). I am not from WV, but I wouldn’t take economic advise from a representative from Michigan, however well meaning his intentions. I could not agree more. The end of your remark left me with a good laugh as well. First, the decline of the auto industry in Michigan, particularly Detroit, was more a consequence of the North American Free Trade Agreement (first proposed by Bush 1, signed by Clinton) and of globalization than it was any single Congressman. Second, I should say that I find it interesting that Cecil Roberts is trying to misinform the public about coal being clean, particularly after UMWA’s outrage at the misinformation about the history of coal at the West Virginia State Museum. You can’t have it both ways. Either tell the truth, or stop complaining about other people lying. First, as even coal-fired power plant operators admit, two-thirds of the embodied energy in a ton of coal is lost as waste heat, and 5-10% of the remaining useful energy is then lost through the transmission of electrons from plant to consumer. So overall approximately 70% of the potential energy is wasted. Just as a clarification on that little gem … if this is true for coal, then it is logical to assume it is true for ANY “fire” based power plants, regardless if you are burning coal or gas or paper for that matter. That is a function of the design .. not the fuel. mike4352: That is mostly true. And thanks for calling it a gem, that just made my day. Although different fuels do have different inherent impacts on plant efficiency. For instance, some of the energy from burning wood is wasted as a result of evaporating moisture that remains in the wood. As for the main point related to your statement, you seem to support, in a sense, the need to develop more efficient sources of electricity generation. I won’t argue whether that should be Integrated Gasification Combined Cycle (IGCC) plants, Natural gas combined cycle plants, nuclear plants, geothermal plants, solar panels, etc. However, developing any new technology will result in higher electricity rates, regardless of the type of plant, because it is a new capital cost that we are not currently paying for. So given all of the other costs associated with a continued reliance on coal, or even natural gas, it does seem like a smart idea to transition away from the historically inefficient and higher-polluting sources of electricity.